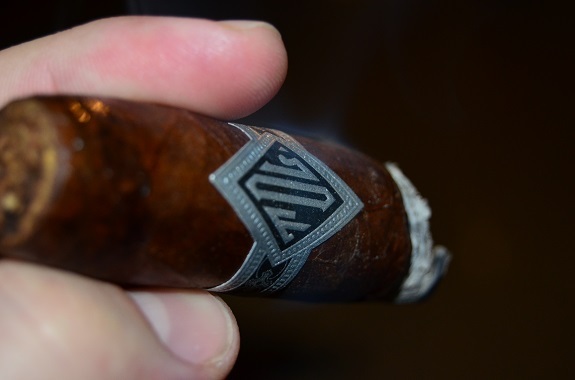 I have been on a Dunbarton Tobacco & Trust kick as of late, burning through a bunch of Mi Querida and Sobremesa cigars. Two exceptional cigars. But I figured it was time to give one of Steve Saka’s more recent releases a spin this week. Todos Las Dias should be a familiar brand now after placing well in a large number of top 10 and top 25 lists in 2017. 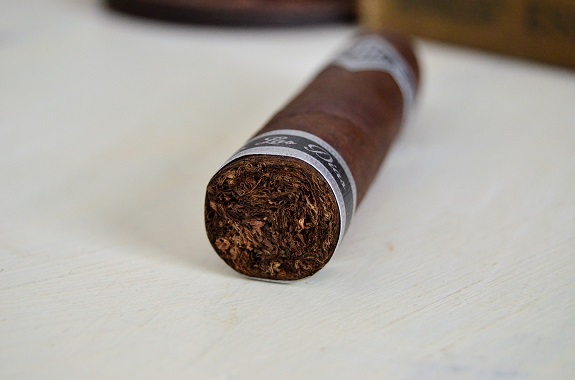 Even though I read a few reviews on the cigar last year, I don’t recall much, if any, (I’m not even going to peak at Tony’s review) of what I read so other than having high expectations based on the ratings it received, I hope to share my honest opinion on this cigar. Todos Las Dias is dressed in a very dark brown wrapper that has some even darker markings. Veins can be seen webbing down the leaf that is full of oils and sugar-like crystals. A pungent aroma is found on the wrapper of barnyard, meat spices, and a faint chocolate. The foot aroma is a big chocolate smell that is very welcoming. The cap lines are clean. Once cut, cold draw flavors of rich cedar, that Canadian bacon flavor and Atomic Fireball cinnamon spice. 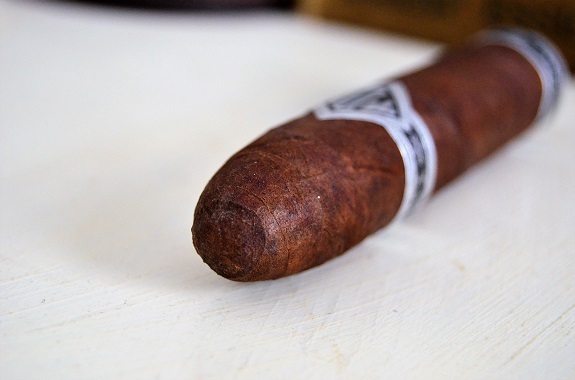 The Todos Las Dias Double Wide Belicoso is right in my face with a spicy profile with full flavors that quickly settle. I am picking up flavors of crushed red pepper, pencil shavings, and cocoa. The smoke is thick in the mouth and a charred wood lingers on the finish. A sweetness is creeping up that seems to be tied to a yeast-like flavor. As I move the smoke through my nose, coffee and pepper are highlighted. There is only a minor wave with burn as a light gray, somewhat flaky ash forms. As I enter to the second third of the Todos Las Dias, I perform another cut on the cigar and there is great improvement on the draw. The charred flavor that was taking on a primary role has quickly diminished since the second cut. Richness is developing as the earlier flavors carry the cigar along. At the midway point, I am only picking up a hint of the earlier sweetness. Earth and charred wood join the other flavors, but now in a balanced fashion. 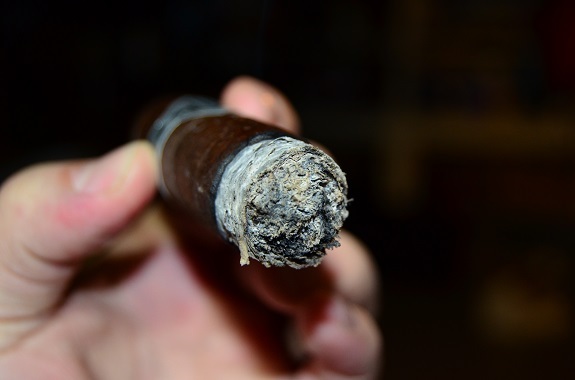 The burn line is jagged and the ash is flaky. Closing out the second third, I am feeling a good nicotine hit. The cigar settles even more bringing the cigar to the medium range in terms of flavor, and the strength is holding strong. While the spice remains on the retro-hale, the crushed red pepper flavor is no longer distinguishable. Leather and a mild sweetness make up the closing profile as charred wood continues on the finish. 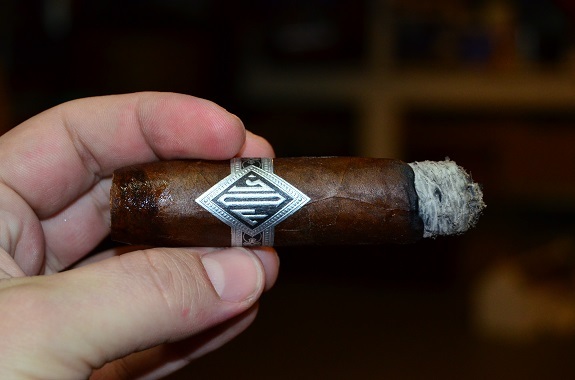 Steve Saka’s in-depth knowledge of tobacco is met with his ability to create great cigars. I can’t think of one bad or even just good cigar that he has released. They all seem to be very good or even exceptional in my estimation. And I would place the Todos Las Dias in the very good category. 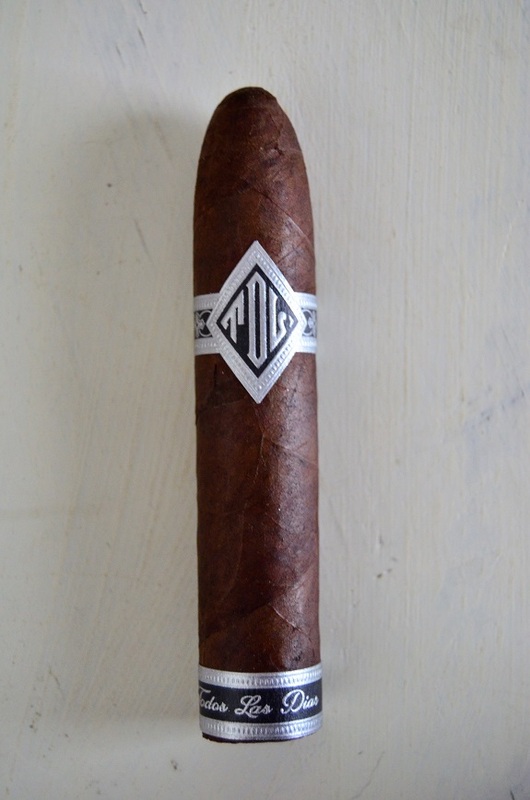 The cigar provided some dark flavors with a nice crushed red pepper spice and balancing sweetness. The flavors started full and moved towards the medium range as the cigar progressed, but the strength moved exactly opposite. While the cigar didn’t leave me whoozy, it left me in a nice relaxed state after an hour of smoking. 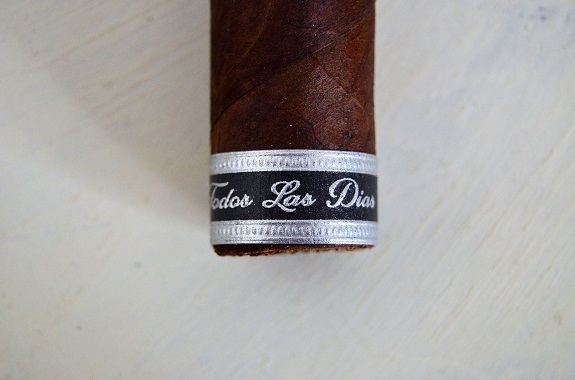 Even with a price tag of $12.45, the Todos Las Dias Double Wide Belicoso is a cigar to hunt down.